What are the benefits of reworking, optimising, publishing and sharing your content in 2019? How can this process of 'repurposing' content increase its life and value, as well as help it to reach new audiences? In this blog, we explain how. As part of our marketing activity – one thing we do behind the scenes is update, improve and sometimes repost existing blogs and web page content. This process involves carefully rereading our old content to identify new angles or where information could be updated. In addition, we also include new internal and external links, calls-to-action and lead flows to increase the content’s value and encourage readers to engage. Not only does this process increase the value of the content we have on our website – keeping it fresh and relevant – it also helps us to slowly move up the rankings on search engine results pages, attract more organic traffic, and provide website visitors with exactly what they are looking for. You may have heard of this process before. HubSpot calls it historical optimisation – which essentially means optimising your old blog or web page content so it’s fresh and up to date, and so – according to HubSpot – “has the ability to generate even more traffic and conversions than it already does”. At INBOUND 18, our team also learnt about a new process to breathe new life into content, which involves reworking, optimising, publishing and sharing content - ROPS for short. 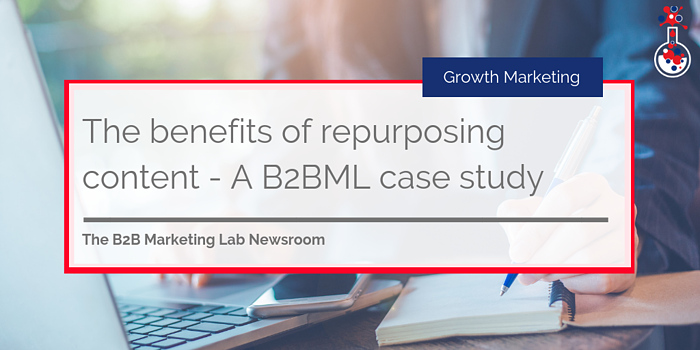 What are the benefits of repurposing or ROPSing your content? Well, by updating content (also referred to as repurposing) to include new information, calls-to-cation, lead flows or even images and links, you can breathe new life into it and enable it to attract more interested parties. It’s also important to note that Google also places more value on fresh, high-quality content – so keeping content up to date is in the best interests of every business. Such activity is good because so many businesses produce a blog once a week or once a month and just leave it at that. They produce high-quality content, promote it and once they have finished promoting it, that's it. But by regularly repurposing, editing and optimising that content it can reach new heights! Now, up until this point, this is all theory. What needs to be shown now is the theory in practice and how it actually delivers results. So here’s an example. We published a blog entitled ‘What is a Buyer Persona – and why is it important?’ on January 23 2018. Back then, organic traffic was quite low but steadily growing. Over time more and more people began to find it on search engines and it started to rank on the first page of Google. The green shows our organic traffic. 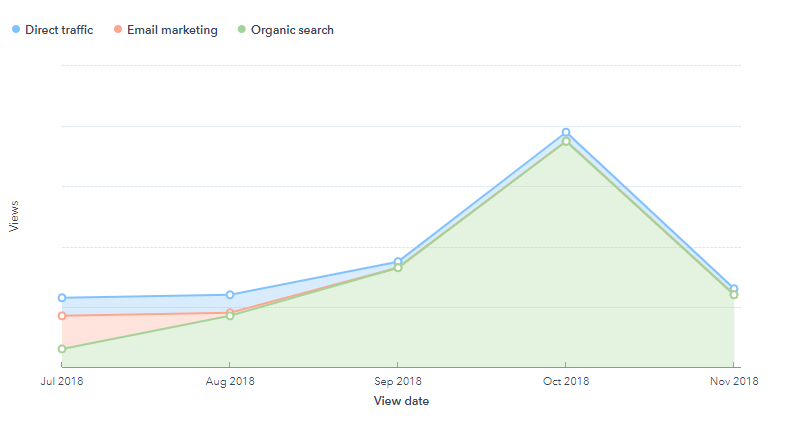 As a result of our optimisation activity, the amount of organic traffic to the blog has more than doubled and continues to increase on a daily basis. The average time on page is four minutes – this tells us that website visitors are interested in the content on the web page. The results have been nothing short of incredible and highlight the clear value of producing and updating content on a regular basis. In just two months, the organic traffic to this blog in particular has more than doubled. Here’s another example. We published a blog entitled ‘The ultimate cheat sheet on HubSpot Lead Sources’ on July 13 2018 and updated it on October 22 2018. Since then, traffic in the month of October has increased significantly and continues to do so, and the blog ranks on the first page of Google for the search term ‘hubspot lead sources’. Updating and republishing content is a must. 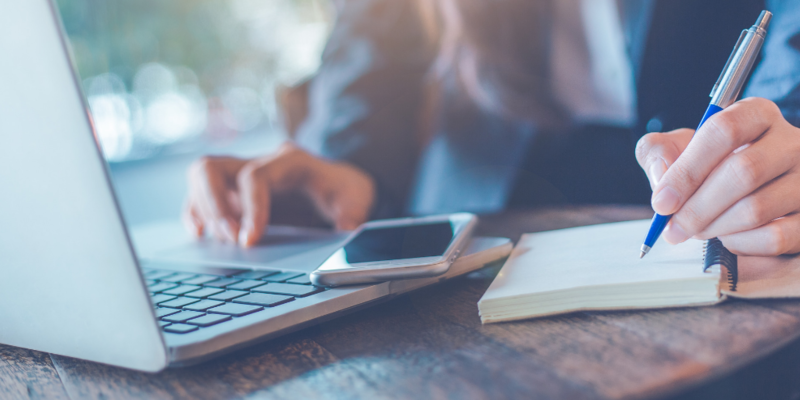 To get more out of existing content – old or new – businesses should endeavour to add new information, calls-to-action, video, and internal and external links to their content. This will enable web pages to move up search engine rankings and attract interested parties. This is best practice – and we encourage our clients to follow this practice whenever and wherever possible. The results speak for themselves and there has never been a more cost-effective way for businesses to generate more interest using content and, dare we say it, leads. If you want to find out more about reworking, optimising, publishing and sharing content and how to create lead-generating content? Check out our free eBook.